Alice in Chains have announced a string of US summer tour dates that will kick off July 6th in Portland with more dates expected to be announced later. The band's latest album is 2013's The Devil Put Dinosaurs Here. 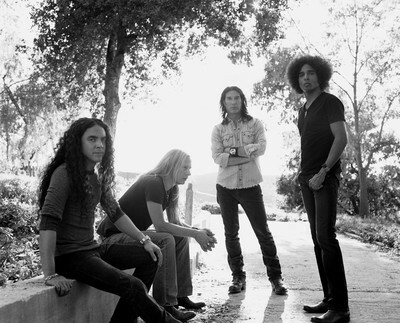 For all the details visit AliceInChains.com. Veteran prog rockers Kansas have announced a US tour celebrating the 40th anniversary of the band's landmark Leftoverture album. The long-anticipated Guns N' Roses reunion tour is now official, as the band announced a string of 2016 tour dates yesterday including 20 US stadium shows.